Sells like hot-cakes! For speedy cold treatment in just seconds - in the practical and secure ruck-zuck-pack. 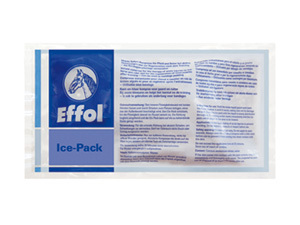 Especially safe to transport because the Effol Ice-Pack is activated by pulling rather than pressure. For cooling in the case of accidents, excess strain on tendons and ligaments. Or as a prophylactic measure e.g after competitions. There are currently no questions for Effol Ice-Pack - be the first to ask one!